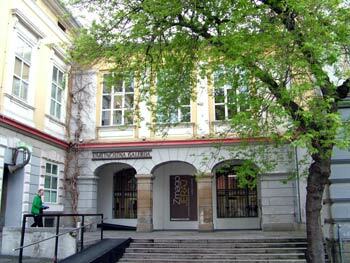 I spent a lot of time in Maribor art gallery during my studies. We were studying works of many well known artists. Our Professors took us to the gallery over and over again to instil all about different painting and drawing materials, techniques and different styles. OK, I admit it, this wasn't always great fun but most of the time I really did enjoy. However, my memory really rests with openings of different art exhibitions. Well yes, it is about art but plenty of great food and excellent wine made the biggest impression on us. So, we never missed a single exhibition, no matter what it was about. Professors were always impressed by our diligence (or perhaps they knew the real reasons...). But now, the times have changed and I normally take my daughter with me instead of going with friends. She really likes art and is completely taken by the big oil paintings. Perhaps she is following my footsteps, who knows? 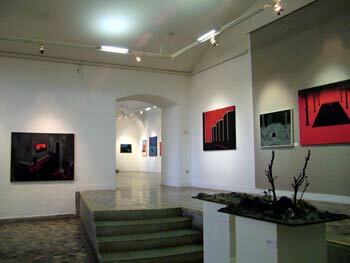 The Maribor Art Gallery was established in 1954 within a former home of the 16th century Celestine monastery. 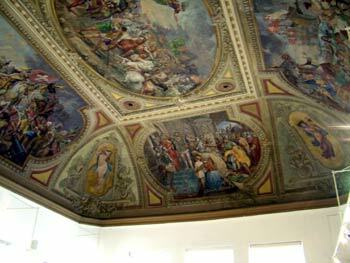 I can't really compare it with big galleries around the world but its permanent collection consist of roughly 2300 paintings, sculptures and works on paper and donations and it's still growing. 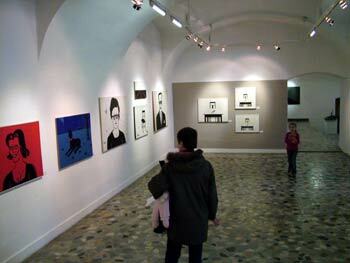 There are the works of Slovene graphic artists, various Slovenian works from the post-war period to the present days. In 1999 the gallery has opened a very interesting Slovenian video art collection. In essence, it is an impressive institution for such a tiny city in such a small country. houses the Maribor Art gallery. photographers of the second half of the 20th century. art exhibitions. She really likes them very much. I should also emphasise that one of Maribor's most popular clubs - Jazz club Satchmo, which is also one of my favorite clubs in the city, is located in the gallery's mysterious deep cellar right underneath the main exhibition hall.